For those of us hooked on sashimi, it’s always a constant struggle between angling for that prized cut, and the tug on our heartstrings when we see the dip in our bank accounts. Economics bites sometimes, doesn’t it? 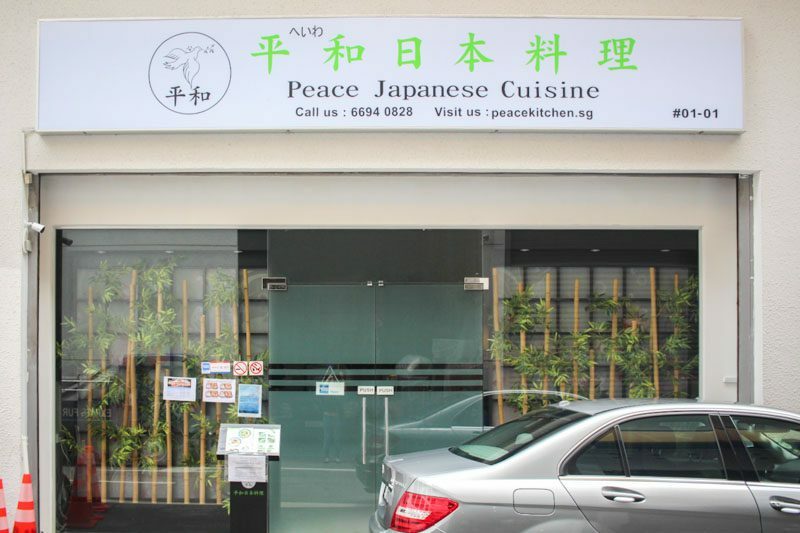 At Peace Japanese Cuisine, you can have your fish and eat it too. 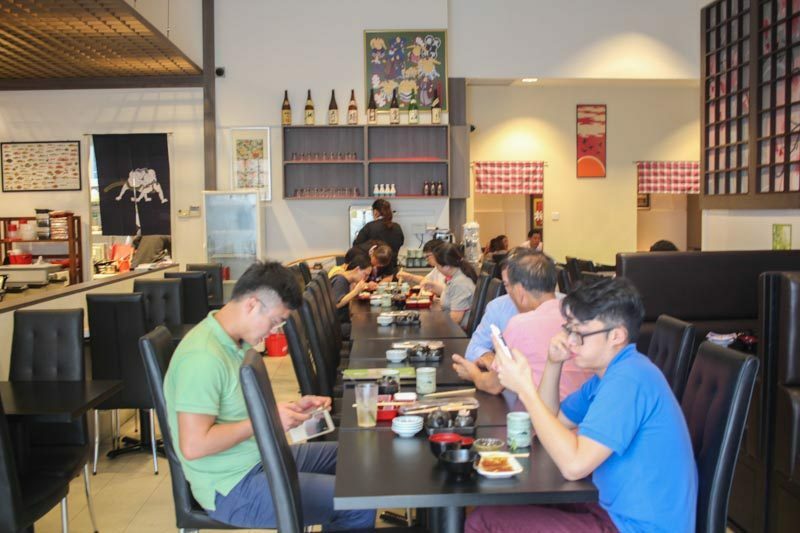 Tucked away in the industrial area of Bukit Batok, its unassuming storefront belies the unbelievable food and prices within. What got me hook, line and sinker was, of course, their premium selection of sashimi. As part of their opening promotion, you can even look forward to one-for-one sashimi. Who doesn’t love a good deal? And let me tell you, it’s definitely a steal. Nowhere else have I seen such generous servings of sashimi. 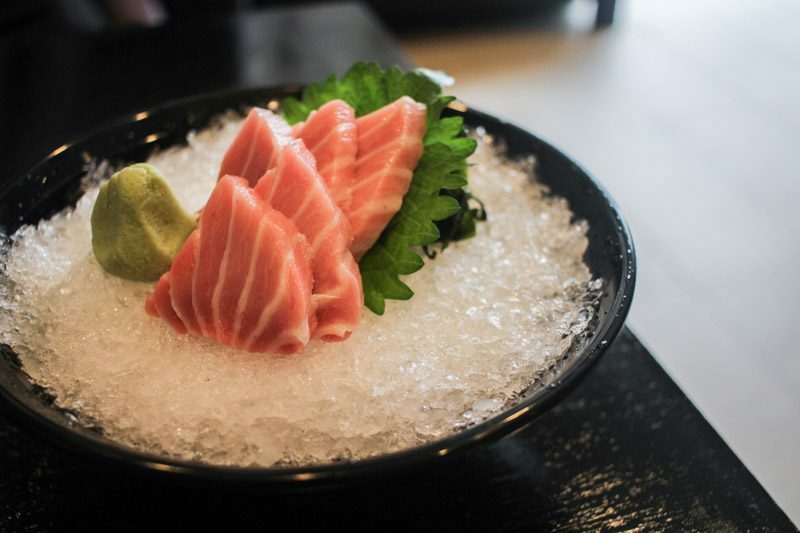 The crown jewel of the sashimi selection is undoubtedly the Otoro Sashimi ($46). Derived from the fattiest part of the Bluefin Tuna belly, this is literally a cut above the rest. Delicately marbled and sinfully thick, it’s almost unbelievable that you can get 10 slices for $46 under their promotion. That’s right, TEN. Each mouthful melts so quickly on your tongue, it leaves you wanting to eat at a slower pace to savour it fully. Unfortunately, it’s also not always available – we were very lucky indeed to have this little slice of heaven. But if you happen to dine at Peace Japanese Cuisine on a day without Otoro, fret not. The assorted plate of salmon, tuna and yellowtail in their Combo Sashimi Moriawase ($35) also comes in generous servings that pleasantly surprised me. 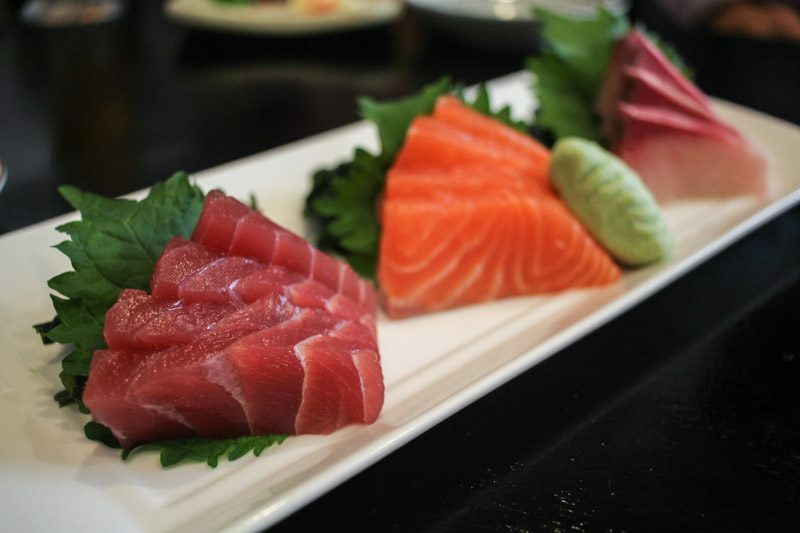 Smooth and refreshing, the sashimi here is fresh without the excessive ‘fishy’ taste you’d get from inferior imports. 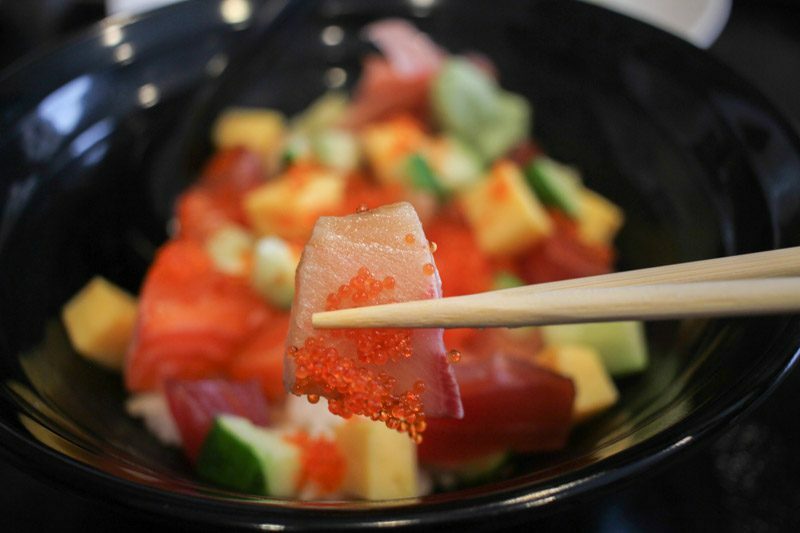 Prefer to munch on some rice with your sashimi? 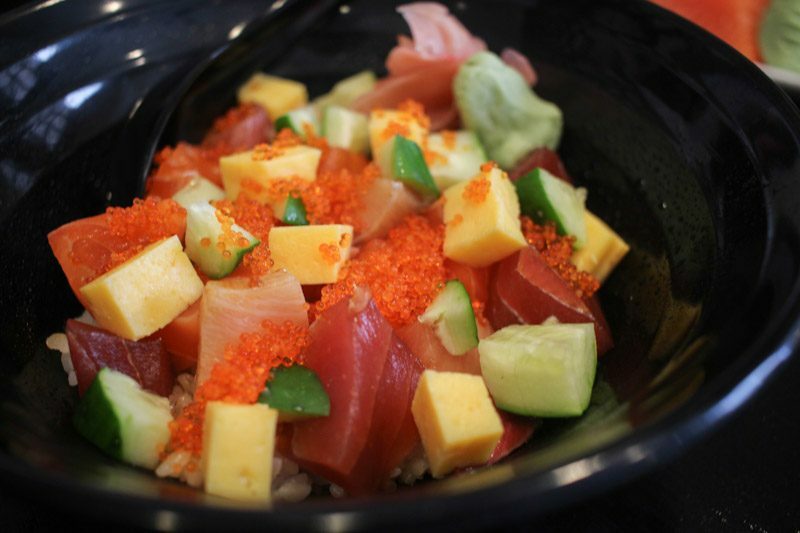 Try their Bara Chirashi Don ($14) instead. Cubes of salmon, tuna, and other fresh seafood rest atop a bed of Japanese rice. The subtly sweet taste of tamago chunks mingled with the savouriness of the fish, with the crunch of diced cucumber adding a refreshing layer of texture. They even offer Bara Chirashi Don for two at the same price every Friday (yes, $14 for two – possibly the cheapest in Singapore). 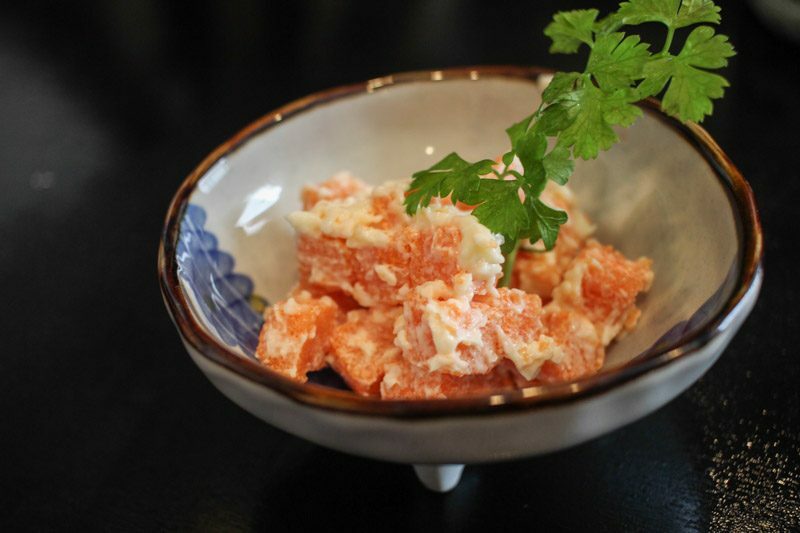 Enhancing the texture even more is a liberal sprinkle of tobiko (fish roe) – popping these in your mouth is always fun. 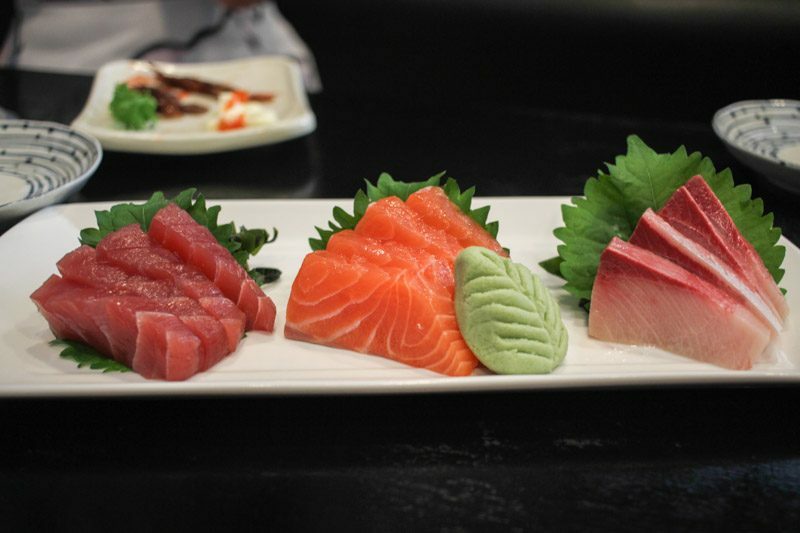 But as much as sashimi abounds in Japanese cuisine, raw fish might not be for everyone. Not to worry; you can always try their variety of grilled appetisers. Known quite literally as “chicken-meat fish” by some, the leather-jacket fish isn’t one that you would commonly see in Japanese restaurants. 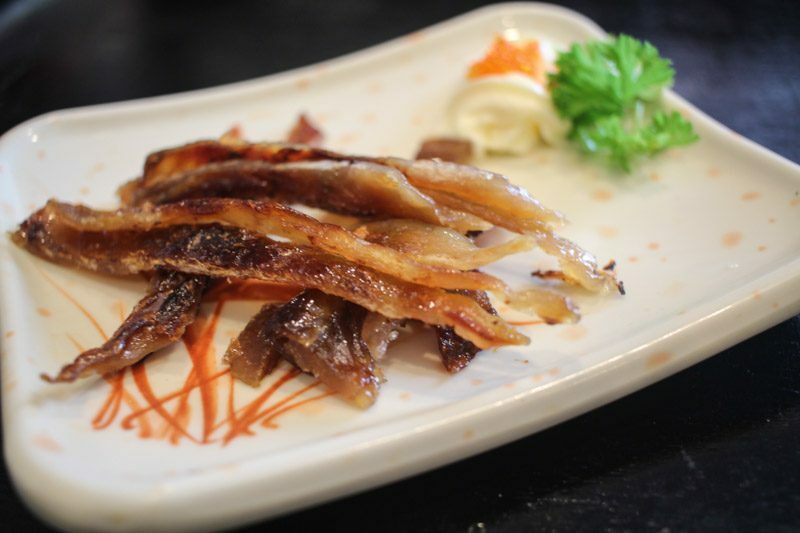 Peace Japanese Cuisine offers this fish in their Kawahagi ($10) dish – in thin, crispy strips grilled to perfection. You wouldn’t have guessed it, but the “chicken-meat” flavour of the leather-jacket fish transforms upon grilling to adopt a slightly sweet taste. Another grilled appetiser to try is their Fugu Mirin Boshi ($14) — yes, fugu as in puffer fish. Needless to say, despite the notoriety of this ‘toxic’ fish, eating this dish is completely safe (we ended up okay, after all!). The dish is served with a dollop of mayonnaise – the sour flavour complementing the saltiness of the pufferfish. This is best paired with their Orion Draft Beer ($9). 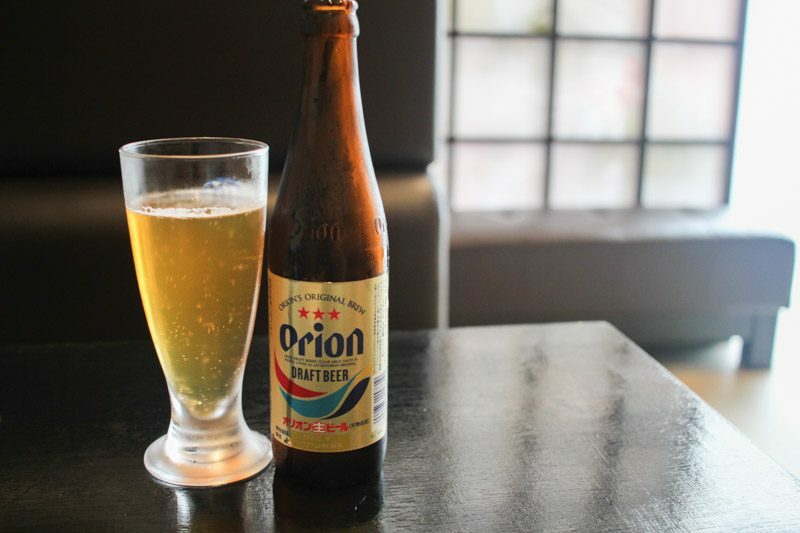 Hailing from Okinawa, this pale-golden beer is light and dry with a hint of bitterness. 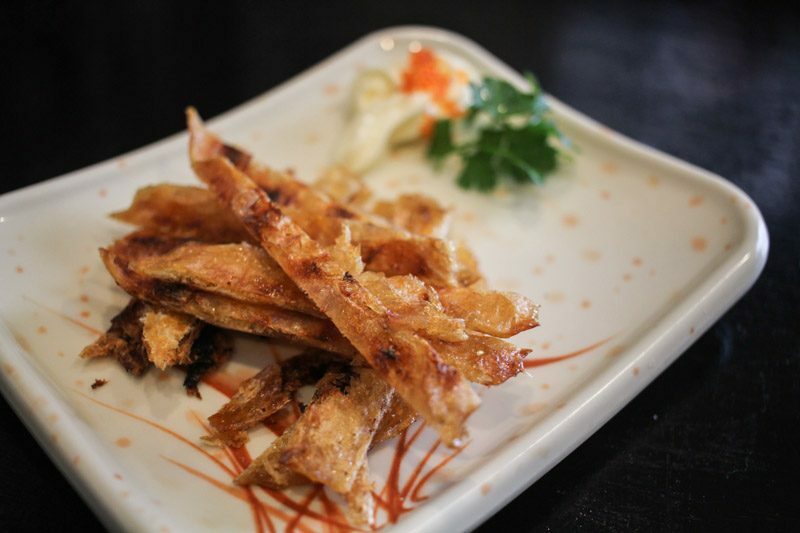 It’s perfect for washing down the heavy and sticky sweetness of the grilled pufferfish strips. Beer-guzzlers, you’ll be chuffed to know that they are offering a buy-three-get-one-free promotion too! For a more substantial appetiser that’s bound to appease fans of mentaiko, the Shishamo Mentai ($7) is a no-brainer. A combination of smelt and cod fish roe, this dish is served in small cubes of briny goodness. The burst of flavour from the roe lingers on your palate, and as rich as it is, you just might find yourself finishing the entire dish on your own! 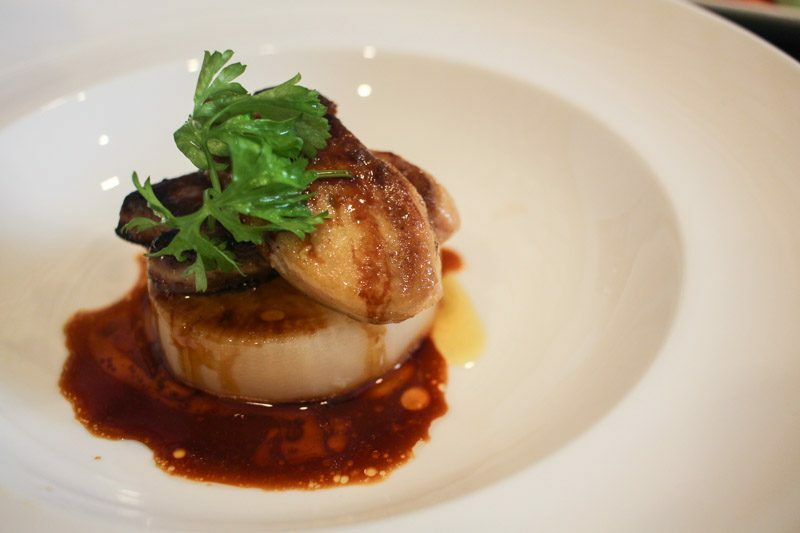 Yet another must-try at Peace Japanese Cuisine is, surprisingly, their Foie Gras ($26). This glistening slab of fatty heaven is served to you on a thick slice of radish. The best way to enjoy this delicacy is together with the radish. When paired, the creamy consistency of the goose liver lingers even when the meat has melted away in your mouth. 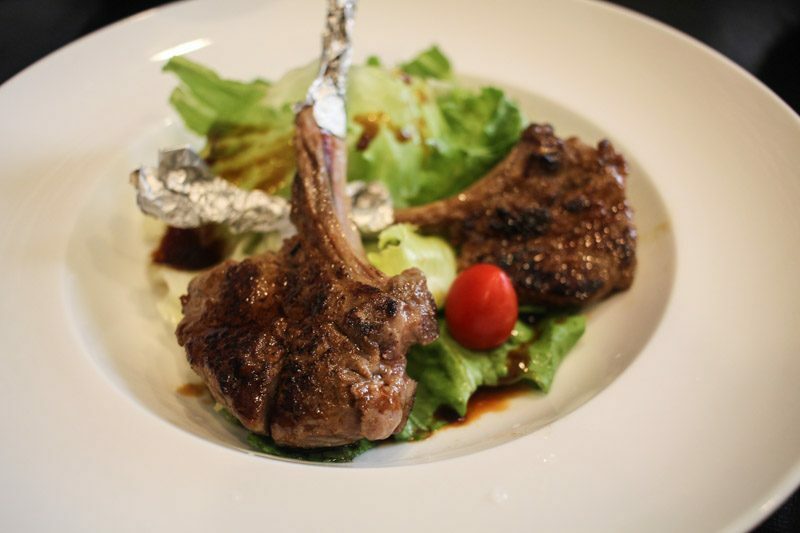 Another meatier option that unexpectedly excels in this Japanese restaurant is their Baby Lamb Steak ($23). For those who avoid mutton because of its overpoweringly gamey taste, you’ll be pleased to discover that it’s absent in this dish. Tender and mild, this main is a standout that will fill you up. Delectable as their dishes are, you won’t want to leave without dessert – particularly, their ice cream. 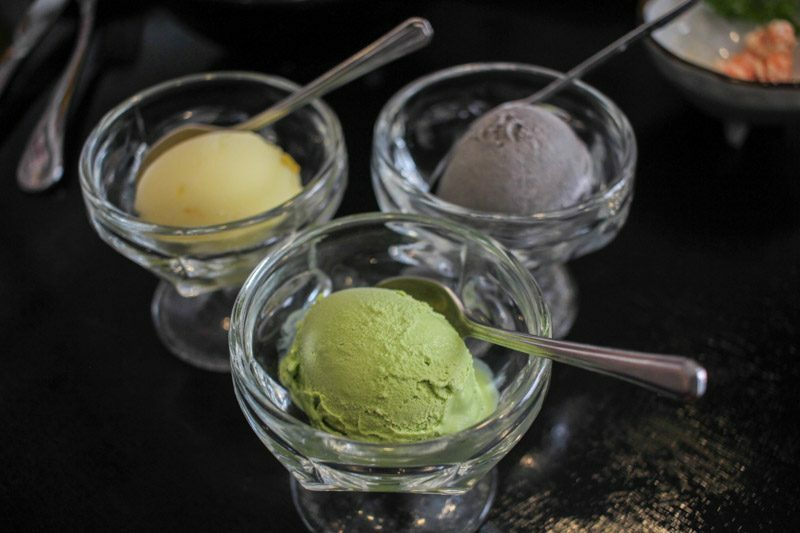 Smooth, with the consistency of sorbet, the ice cream here comes in three flavours: Yuzu, Goma, and Matcha. For me, it’s a toss-up between the Yuzu and Goma. The latter is sweet and creamy, and you can really detect the black sesame fragrance in their Goma Ice Cream. In contrast, the Yuzu Ice Cream is much more tart, with bittersweet citrus skin interspersed within the scoops. As for the Matcha, I felt that the green tea taste could have been stronger. Lunch hour at Peace Japanese Cuisine tends to be dominated by the office crowd, and it’s no wonder why. Their Lunch Bento Sets ($8-10) and Spicy Curry Rice ($8-10) comes with miso soup and free-flow green tea. You don’t even have to pay that pesky $1 that most places charge for their hot green tea! And to all our vegetarian friends, you’re not left out either; another surprising find is that they sell a complete Vegetarian Meal from $7. Another highlight for the thrifty lunch-goer is their Japanese Steamboat Buffet ($15), which includes pork collar, premium sirloin beef, chicken slices, and a good variety of vegetables. You can also top up with kurobuta (black pork) and US short ribs at a discounted price. With a time limit of 60 minutes, it’s pretty much perfect for the office worker who wants a quick yet filling lunchtime treat. 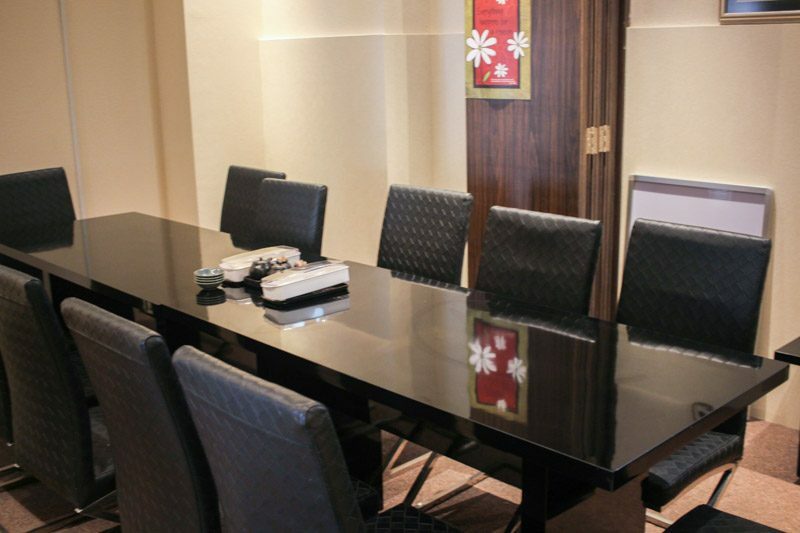 If you prefer to dine in a more intimate setting, the restaurant also has a private room which caters up to 12 people. Do book in advance, as it’s often popular for gatherings and celebrations. 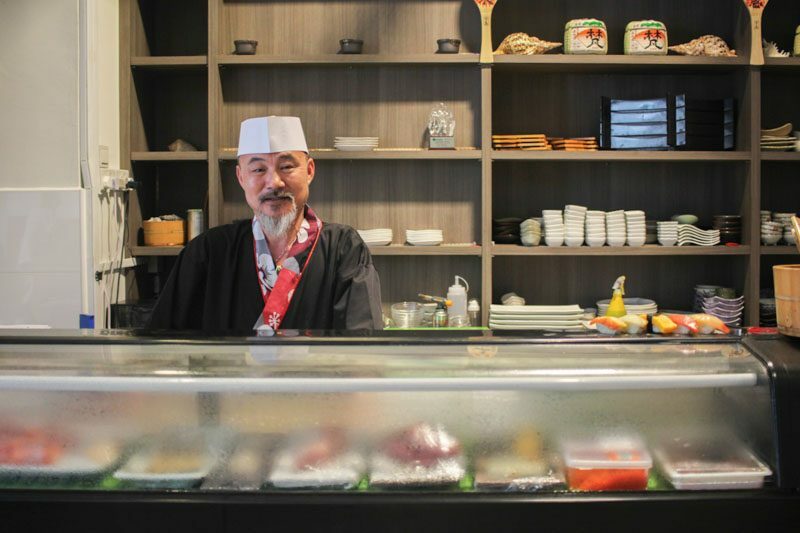 Don’t forget to wave to the chef as you leave, if he happens to be at the sashimi counter. His expertise is the reason all these delicacies exist in this hidden gem, one that’s certain to give you peace of mind while you dine.